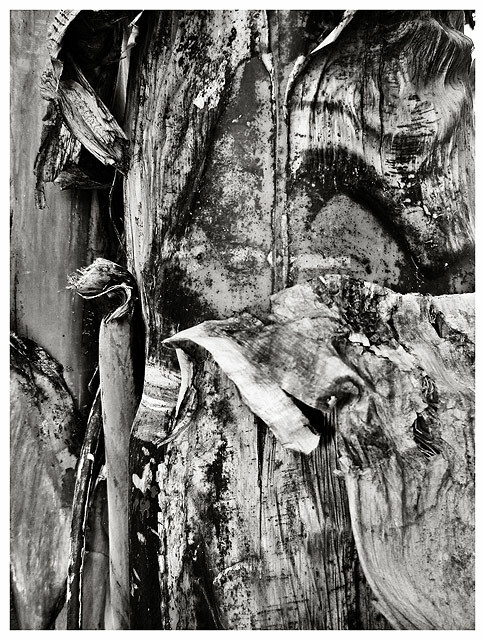 minimal editing.. mostly contrast and selective colour to increase black..
this is banana tree bark peeling off..
Not bad for a difficult subject! I've always thought abstracts still need a focal point to be effective, and you did a good job with some very interesting lines, particularly in the top left area. This one would be fun to play with crops, etc. Busy and jumbled - excellent abstract! Textures and tones everywhere! Gnarly! Nice! Love the contrasts and all those interesting shapes. Good eye. this looks like a real interesting abstract. very nice textures and contrast. I like this type of images and you are getting really good at it. Nice contrast and details. great textures and tones in this picture. abstract but not overwhelmingly so. Proudly hosted by Sargasso Networks. Current Server Time: 04/21/2019 02:32:33 AM EDT.